As many of you probably know I recently made the move from Indiana to California. This is a quick write up I edited from the one I published on my website. 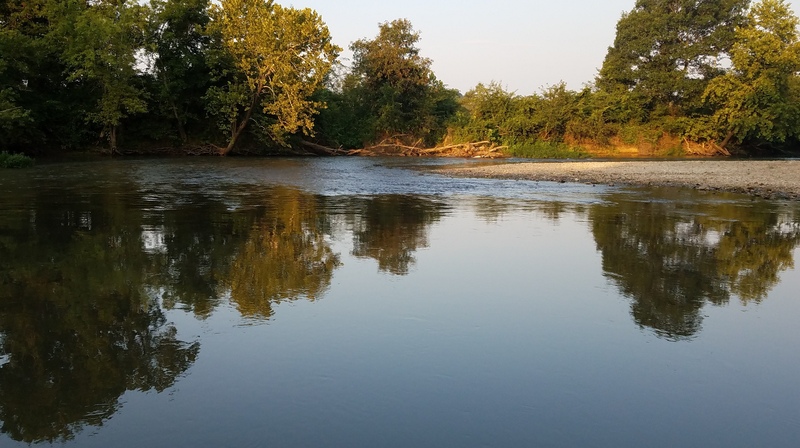 The first leg of my journey took me from Indiana to the Meramec River near St. Louis, Missouri. 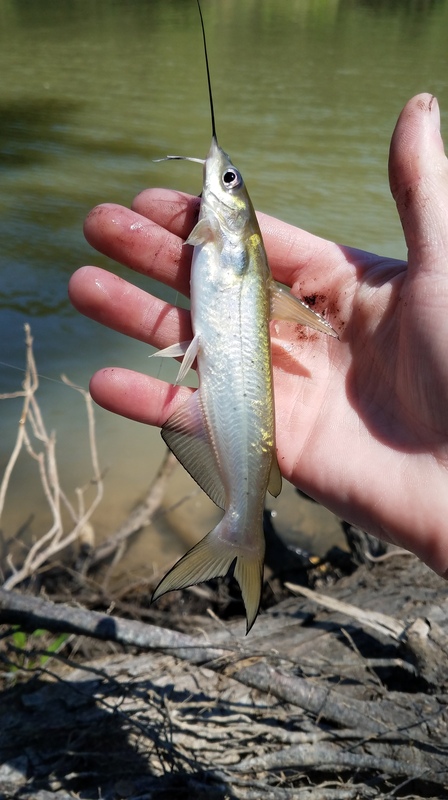 My research told me that this river was a great spot to catch Redhorse suckers of multiple species. Sadly, once I got there, I didn’t feel very confident about my prospects. 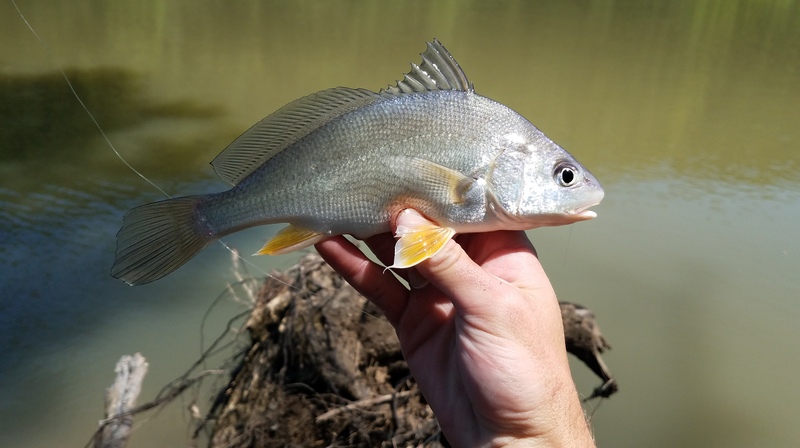 I had picked a location that was too close to the Mississippi River, and as expected, I could not get past the great number of Freshwater Drum and Channel Catfish to get to any of the more exciting species. Finally realizing that I wasn’t going to be able to add any new species at this spot, I hiked back to my car to finish up the drive for the day. 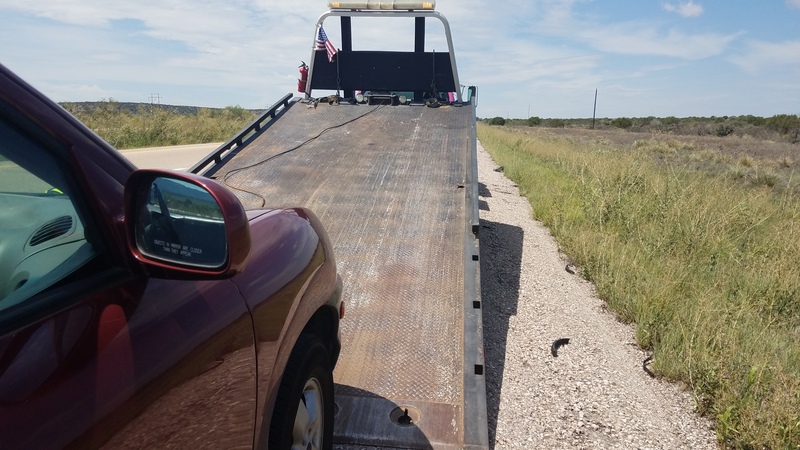 I drove west until I got to the other edge of Missouri and camped at Shoal Creek. With this frustrating discovery, I decided to try something new. 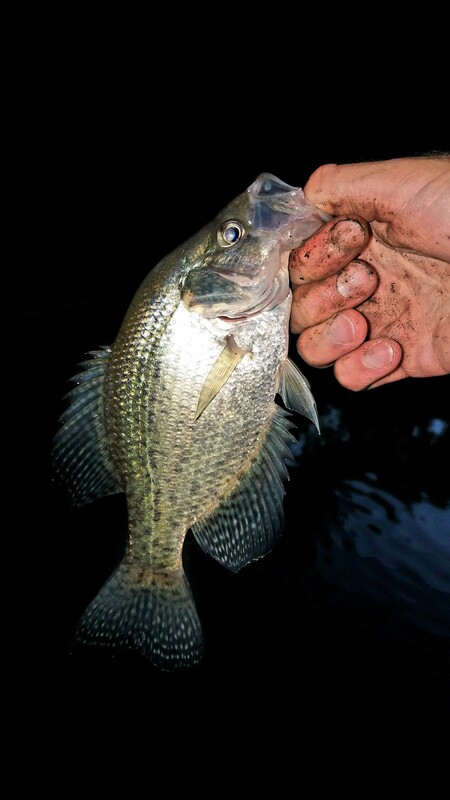 I’ve never microfished at night and it sounded like it could be a wildly productive thing. So, I put on my headlamp and started walking around the shallow areas of the creek. It didn’t take long to find where the various minnows were hiding. 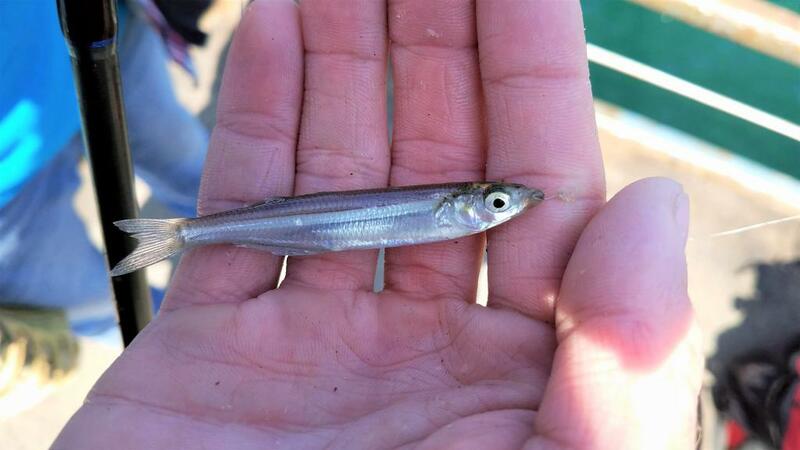 I saw a lot of species I recognized, but there were a few, odd, larger, white minnows scattered around. 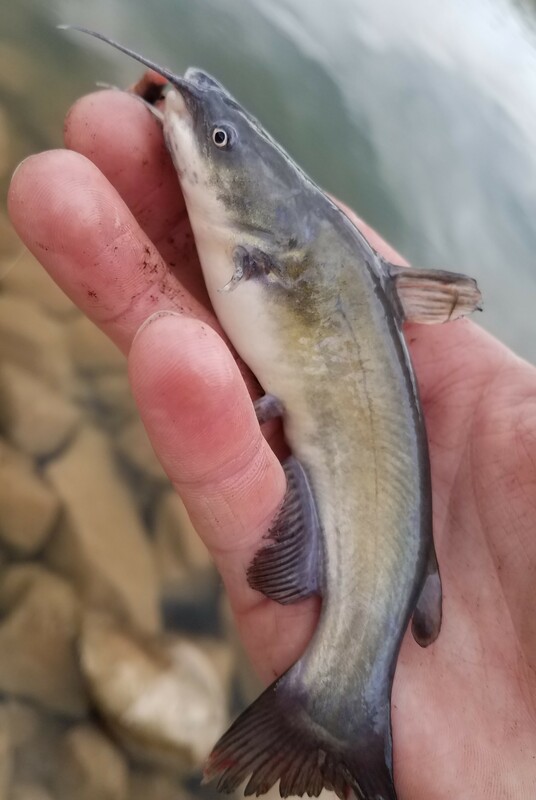 I had a good feeling that they would be a new species for me, so I spent my time trying to get one to bite. After a half an hour of putting a small piece of worm in front of these little fishes faces, one finally attacked the hook. As soon as I had the fish in my hand, I knew it was something new, though I’ll admit I couldn’t figure out its identity at the time. 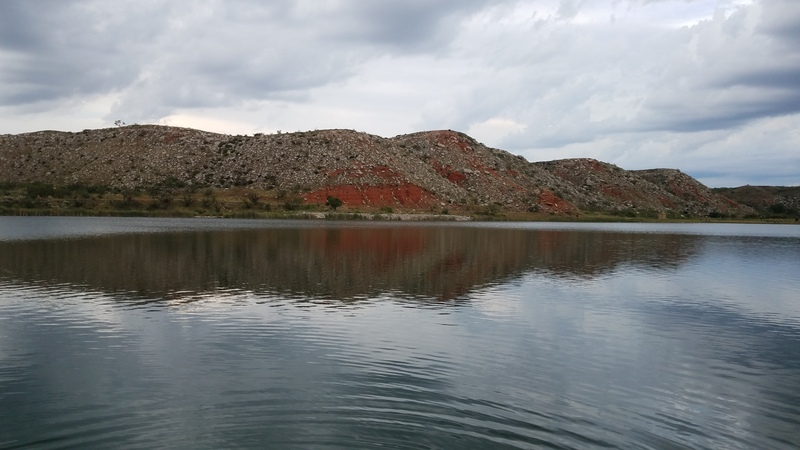 I had expected this lake to be a huge challenge to fish because of how large it was and the fact that the climate was so different than what I’m used to. 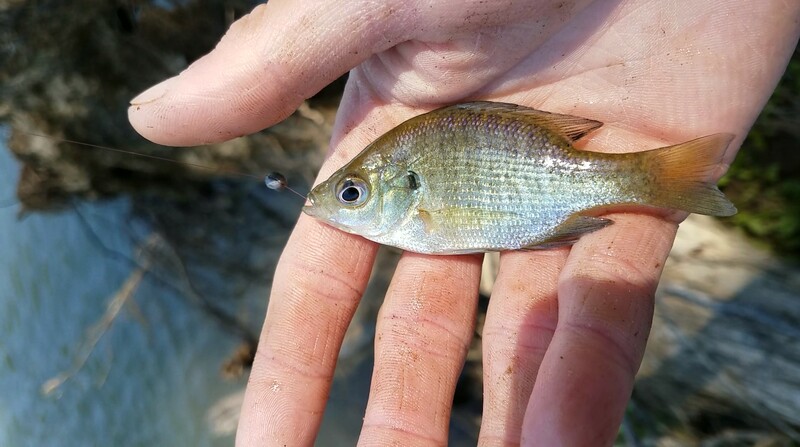 But to my surprise, there were a large number of little sunfish in the shallows. 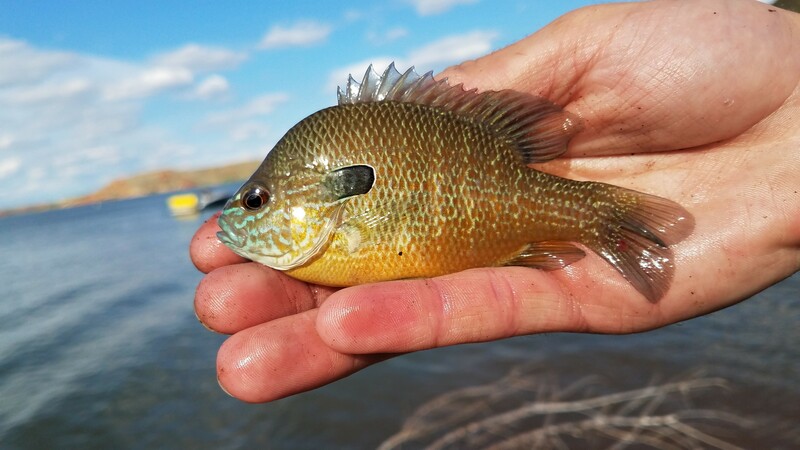 I had expected to catch mostly Bluegill here, but here was an enormous population of Orangespotted Sunfish! 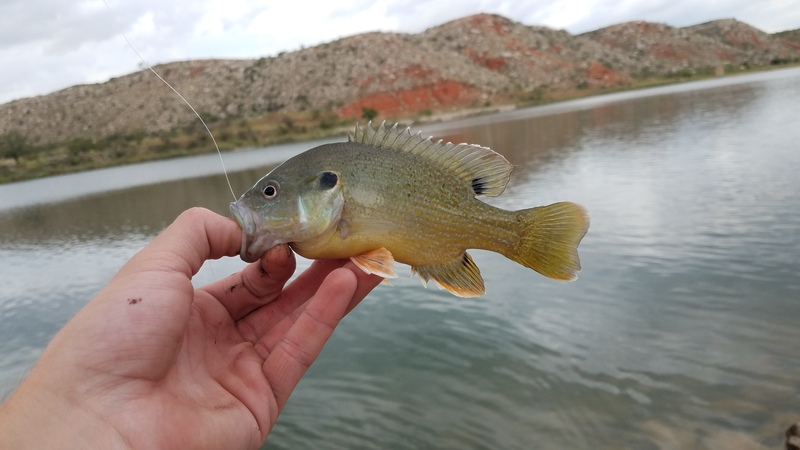 These Orangespotted Sunfish had no fear of hooks, instead of my usual microfishing gear I was catching them on size 8 hooks. 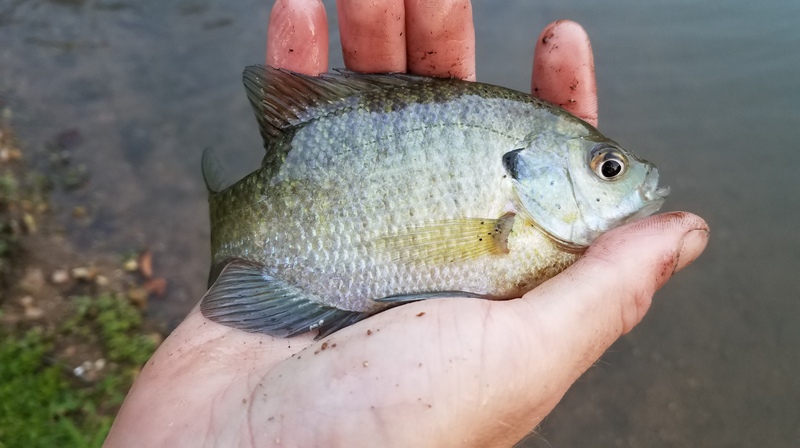 I was even able to catch a few Longear Sunfish, which looked remarkably different than any of the others I’ve sampled in other states. 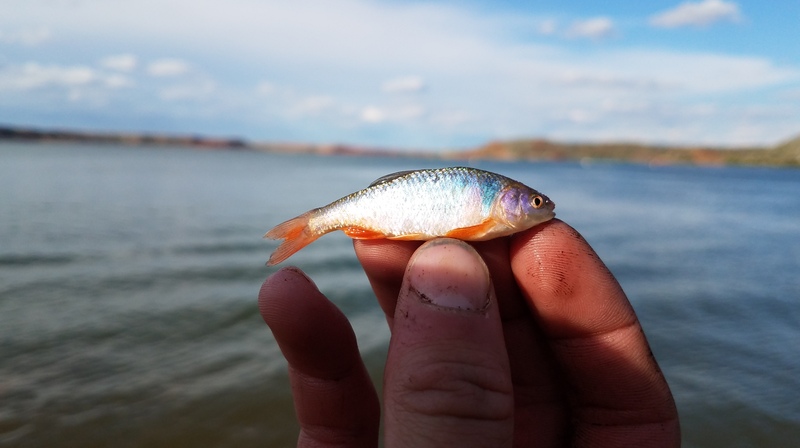 I kept seeing small minnows with gorgeous red fins darting around while I was fishing for sunfish, and I couldn’t leave this lake without catching one to add to my species list. 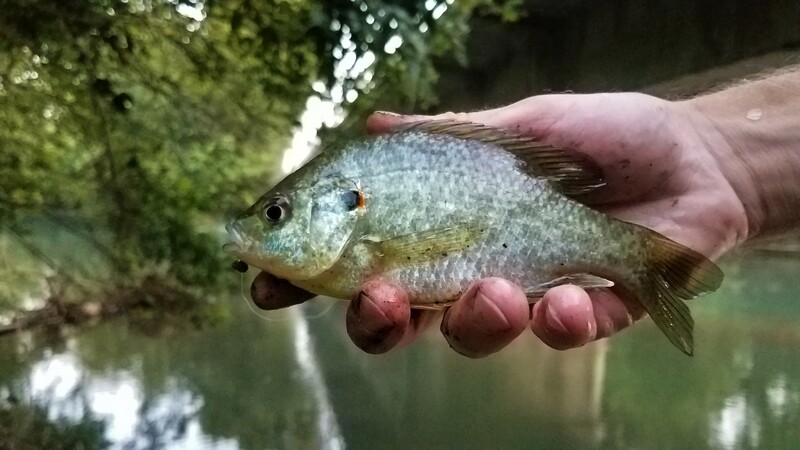 I tied on a size 28 fly hook and tipped it with a small piece of worm (the Bluegill stole the last of my tango hooks when I was at the Meramec River). 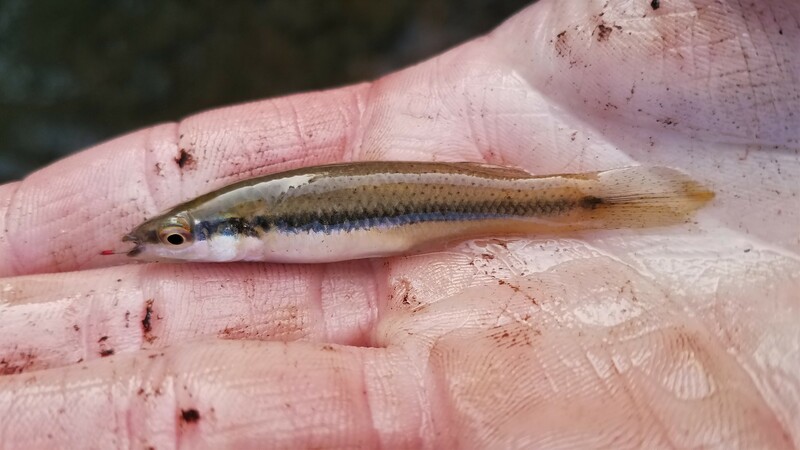 It didn’t take long before one of these little beauties found my bait! I arrived in Sedona, Arizona to the unwelcome realization that every single campsite was full…even though none of them allowed reservations. 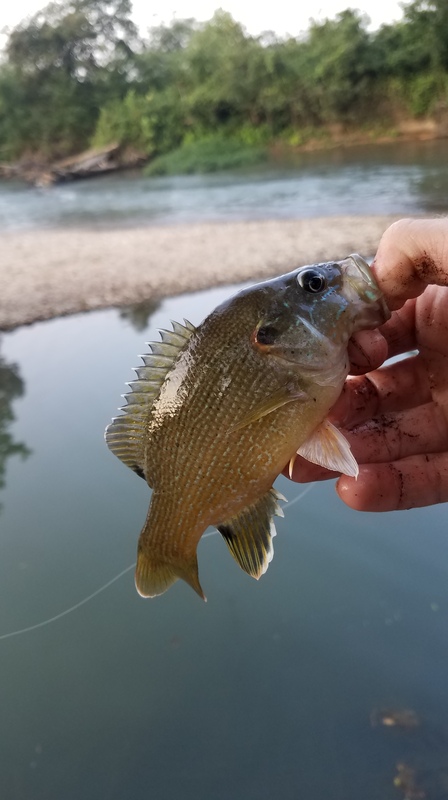 I decided I would worry about that later, and made my way to an access point to a creek there in search of my first sucker of the trip. With this last fish, I looked up and realized that a thunderstorm was quickly approaching. I didn’t want to be stuck down here if lightning started dancing around, so I started the hike back to my car. I was lucky enough to get the last room in a cheap motel in Sedona (my only other option was to park the car and sleep in it). Bright and early the next morning, I packed up my stuff, checked out of the motel, and made my way back to the creek. 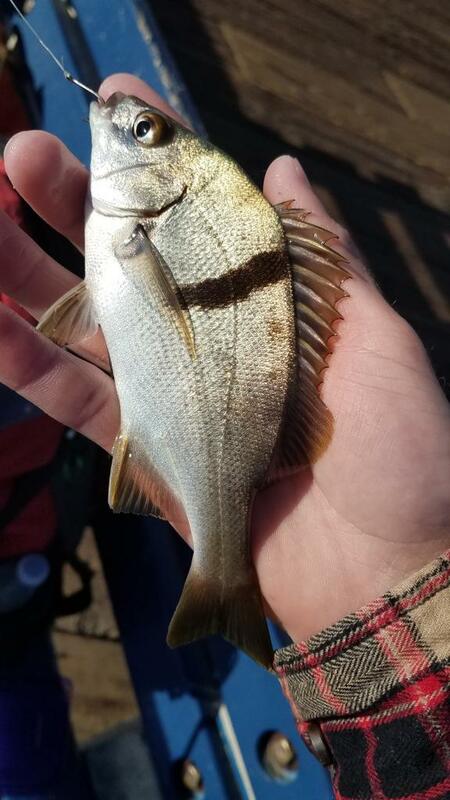 I wasn’t going to let this trip end until I caught a sucker. 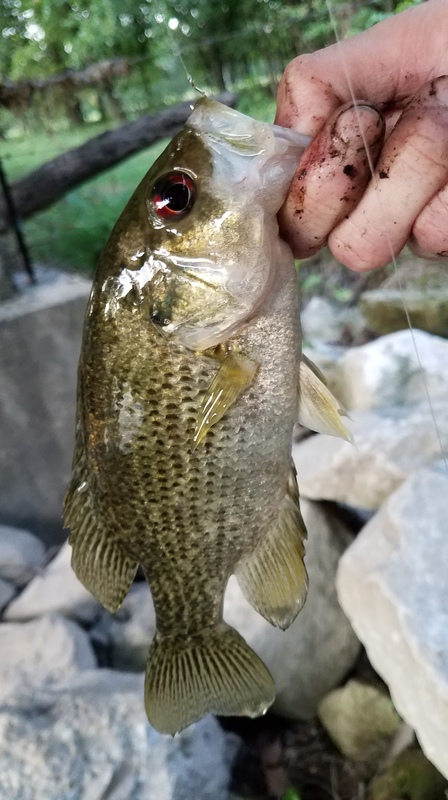 I hiked back close to area from the day before, set up my rod, and waited for a bite. A long hour passed with only a few small nibbles but no takes. 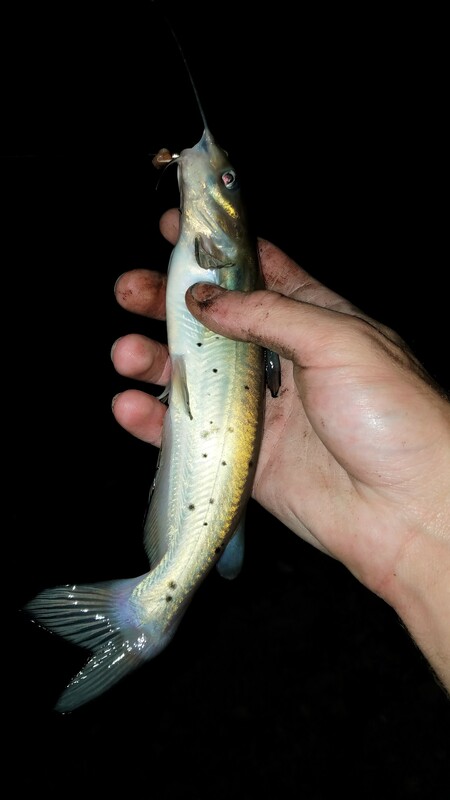 Suddenly, my rod doubled over and a fish started screaming drag downstream. 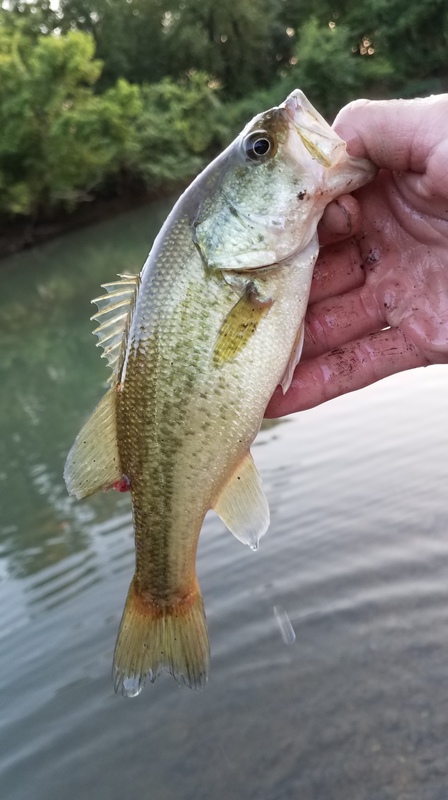 When it got itself wrapped up in the reeds, I was scared my 4 lb test line wasn’t going to hold up, but eventually I worked the fish out and was absolutely over the moon to be holding a Sonora Sucker. 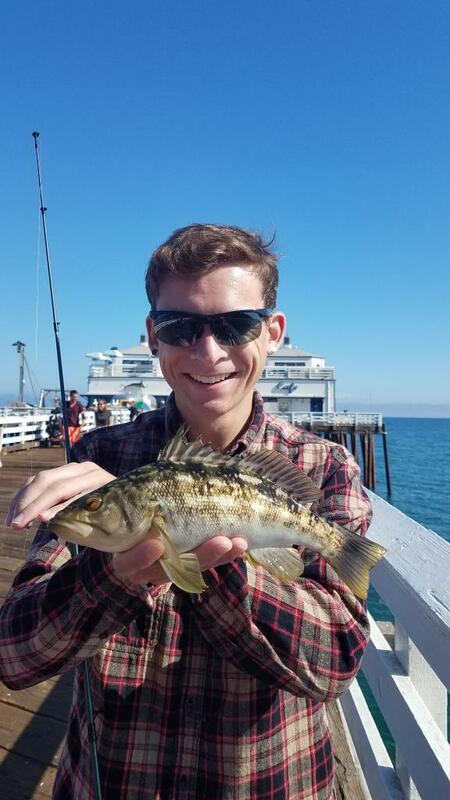 With this fish, I knew I was out of time and I needed to start the final leg of my drive toward Los Angeles.Since arriving here the fishing has been fairly minimal, but I have been able to make it to the piers a few times. 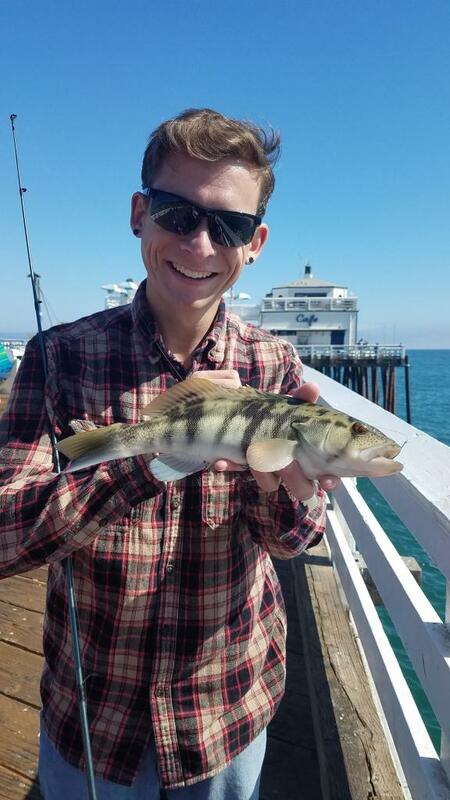 The pier fishing is much more difficult than in Florida, but I have managed to catch a few species and add two new ones to my list. Wow, this is epic. Probably the (geographically speaking) most wide-ranged report on here, and an insane list of fish, too. 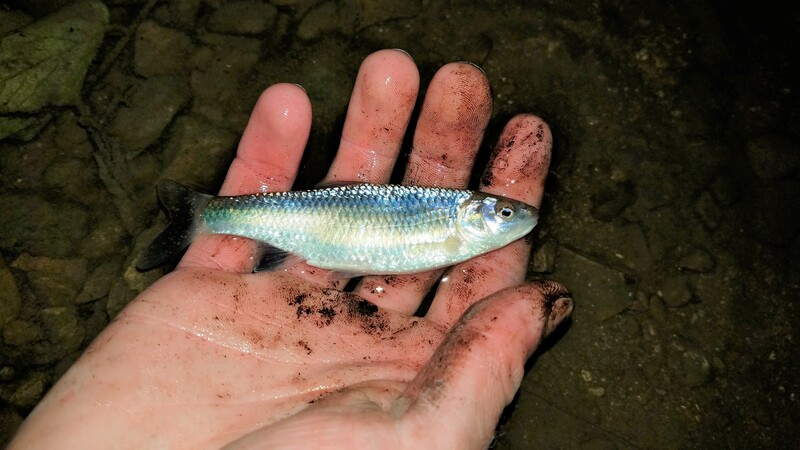 Wow, that Rio Grande chub is really cool. 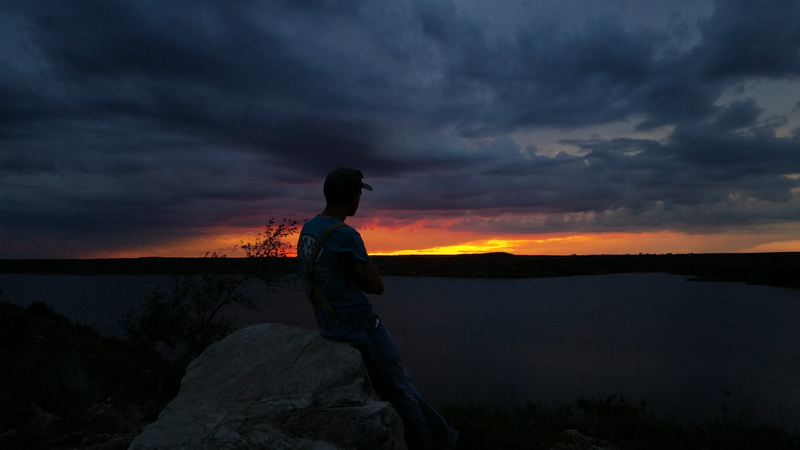 Also, that has to be one of my favorite sunset pictures of all time - how breathtaking! Thank you for sharing. Great report Isaac! Boy that Pecos river looks enchanting. I feel your pain with the barbless hook regulations - it's very difficult to land fish at a high percentage with no barbs. 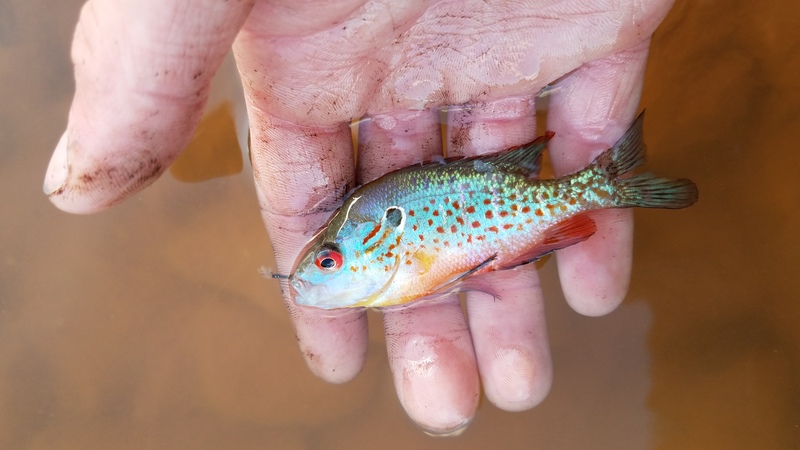 Here in MN and WI, they used to have barbless restrictions during Winter C&R seasons for trout. However, they did a lot of studies and determined that barbs did no significant damage and the restrictions were lifted a few years ago. Great write- up, and congrats on your success in a new area! Looking forward to seeing what you get into next out there. Cool report, man! Awesome adventure. That Rio Grande Chub looks sooper cool, and the AZ fishes bring back great memories. Always love seeing your stuff! Looking forward to seeing what you get out there in Cali! Man, I fished that stream in Sedona years ago but all I got were some rainbows. Great story and great catches!